Our client, age 38, had lost his job and run into more bad luck with the law. He was arrested for DUI for the second time in three months. This second arrest took place along the eastbound I-10 Freeway near the Crenshaw Boulevard off ramp when a CHP officer claimed he saw our client swerving back and forth across several lanes. Without All the Details, What Happened? : Second DUI in three months, 0.19% BAC, resolved for first-time DUI terms with three-month alcohol awareness class. 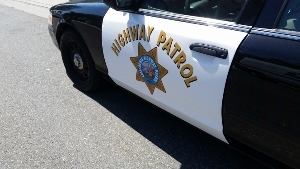 When the CHP stopped our client’s car, they observed a one-third full open bottle of New Amsterdam Vodka and half a bottle of an open Sierra Nevada beer in the front seat cup holders. It appeared as if our client had been drinking while driving. A preliminary alcohol screening (PAS) test of our client’s blood alcohol content (BAC) measured his breath BAC at 0.19% and 0.18%. He was unable to complete any roadside field sobriety (FST’s), falling over on the dirt along the road. He was immediately arrested. The client was extremely nervous about what might happen to him because three months earlier, he had entered a plea to DUI in another California court, wherein he refused to provide a breath or blood sample. Greg met with the client and first listened to the facts of the case and the fact that the client was prior service Navy with a 60% disability rating. Greg is a U.S. Naval Academy graduate (Annapolis), so he appreciated the client’s service and disability from doing so. (This case took place in 2013, prior to Veteran’s Diversion being codified at Penal Code § 1001.80, which allows a current service member or veteran, with a service-related disability that may be related to the crime at issue, to resolve the case through a diversion program and avoid a conviction. The program, however, can only be used one time, so in this second-time DUI, it would not apply, but it might have in the first DUI if the case had taken place after August 2017). Greg explained to the client that “weaving” within a lane is legal, at least according to a few reported decisions concerning improper traffic stops for “weaving. The weaving must be pronounced for a traffic stop (People v. Perez) or it must affect the safety of a nearby car (Carmona). Greg and the client discussed People v. Carmona, a California case involving a turn without using one’s turn signal, and a separate 2002 U.S. Ninth Circuit Court of Appeals decision, United States v. Eric Colin, involving driving over the fog line on the I-15 in San Bernardino County for almost a mile, but never changing lanes. In both cases, the traffic stops were found illegal. The client said he felt a little better, knowing there was a possibility that a judge might find the traffic stop was improper. At the arraignment, Greg received the CHP report and noticed that the officer only stated he observed a single lane change without a signal and did not mention our client affecting the safety of anyone else, which fell into the facts of Carmona nicely. Greg talked to the Metropolitan Court City Attorney handling the case and how a Motion to Suppress might be granted, dismissing the case. The prosecutor acknowledged the issue and was apparently also appreciative of the client’s status as a disabled veteran. The prosecutor then offered to resolve the second-time case on first-time DUI terms, with 36 months of summary probation, a $390 fine plus penalties and assessments, a three-month DUI course (AB541) and 10 Alcoholic Anonymous (AA) meetings. This offer included a promise that our client not file the motion to suppress. The client understood that a Motion to Suppress could be granted, but also wanted closure on the case. Greg explained how officers often remember facts on the stand that were not written down in the police report and a judge may believe the officer, which could result in denial of the motion. He knew a three-month DUI course (AB541) was far superior to an 18 month, standard second-time DUI course (SB38) and five years of summary probation. He decided not to “get greedy” with the case because he was not comfortable serving the mandatory 96 hours in county jail which would apply if the case was resolved as a second-time DUI. He agreed to quit while he was ahead. He was happy to resolve the case on such favorable terms. What Punishment Do I Face for a Second DUI?